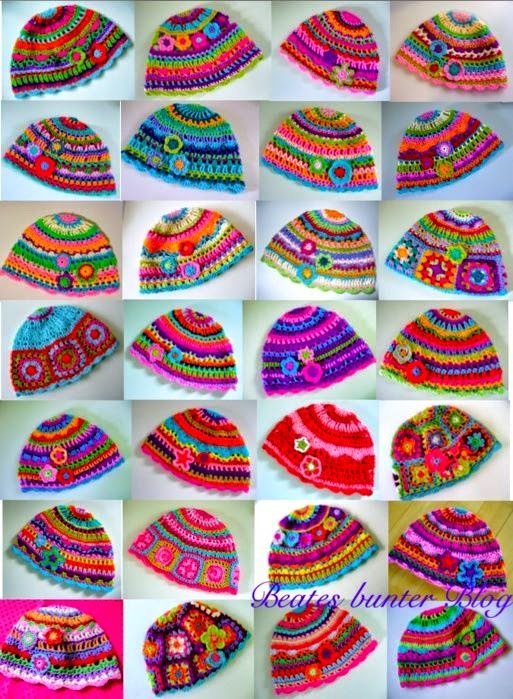 The multicolored crochet hats are a cute way to develop our imagination. 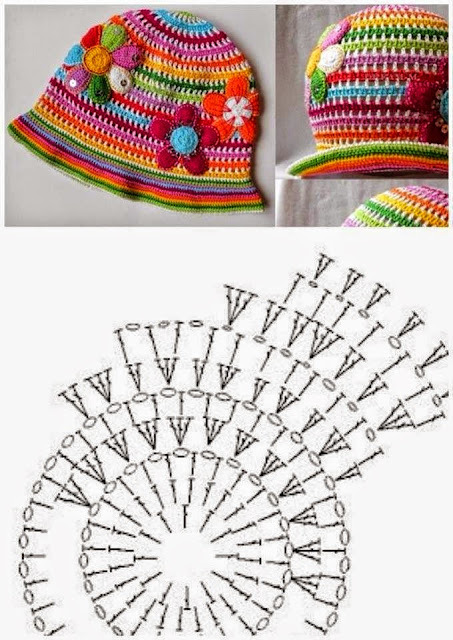 See the basis pattern to permorm them, but as you wil see in these images, there is free mixing colores, flowers and grannys with which you perform your favorite one. Ideal for using those small balls of wool of your previous works. This is the pattern, save it, previous click for enlarge.